Want to find out more about ALERT iResponse™? In addition to single source thermal, atmospheric gas dispersion and overpressure modelling - A new feature of iResponse is it now has the ability to model for multi-source scenarios. 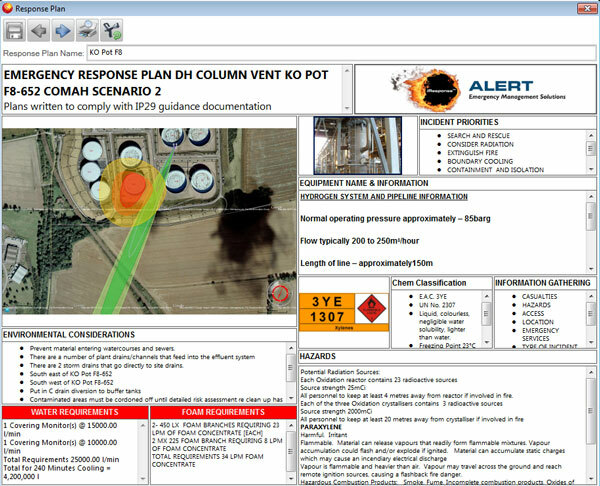 iResponse can now provide the cumulative radiation impact from multi tank or bund/dyke emergency scenarios. 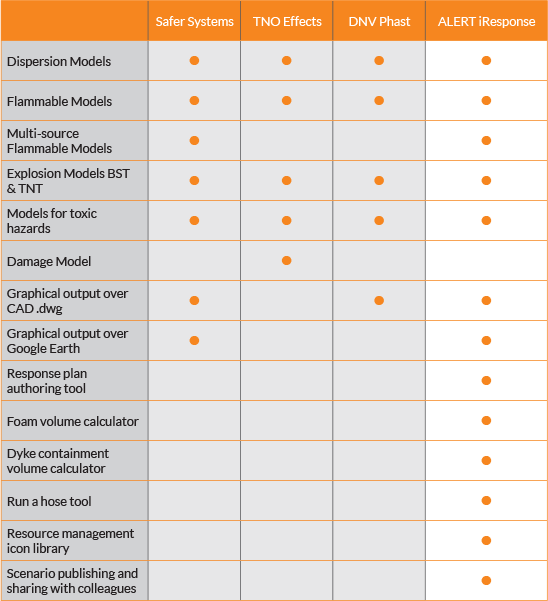 This multi-source modelling allows its users to meet the UK HSE’s recommendations post Buncefield and then further assists its users by providing them with a means to perform gap analysis on their existing response inventory (foam, pumps, monitors, personnel etc.) and that which would be required to tackle the credible multi source scenario. Enables effective risk management, eliminating cost of third party consultants to determine and quantify risk. Reduces risk to response personnel, by allowing simple retrieval of important information, assisting time-critical decisions. Facilitates Mutual Aid agreements by providing a means to share incident information between personnel at multiple facilities. Enables clear visualisation of complex scenarios through 2D mapping of your facility and surrounding population centres. Ideal for use in a classroom setting, iResponse facilitates the development of emergency pre-plans assists in desktop exercises and familiarises new recruits with the geographic features of any location; from a storage tank to an entire facility. The Response Plan was designed to be compliant to both IP19 & NFPA Standards. Find out about ALERT iResponse™ from those who implement it in their business. See ALERT iResponse™ in action!